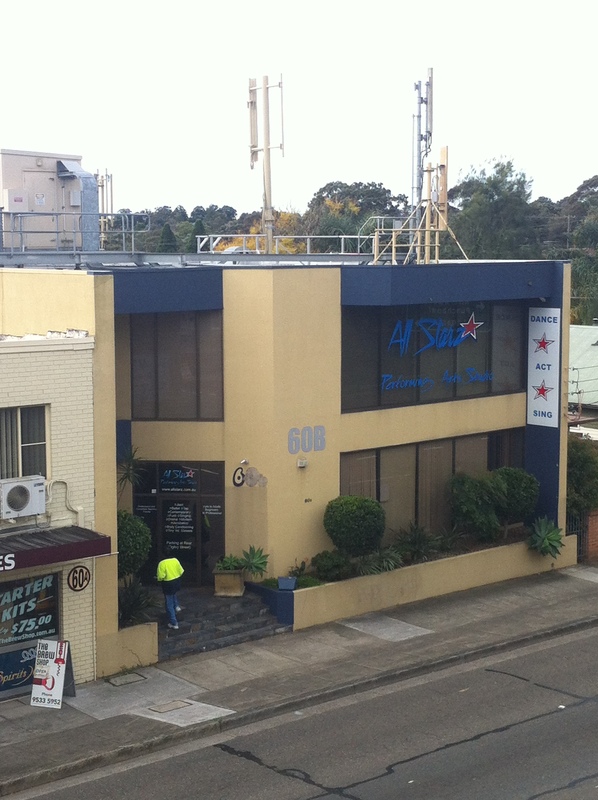 If you’re anything like me, you’d find yourself wondering what purpose a series of superconductors and satellite equipment would serve atop the All-Starz Performing Arts Studio, on Henry Lawson Drive at Peakhurst. Wonder no more. Once upon a time, this building played host to a company called Dynamic Marketing, which produced several series of trading cards back in the 1990s. Yes, only in the 90s was the global financial situation decadent enough to allow a company to receive the bulk of its income via licenced trading cards. The company was such a product of that decade that it even managed to have a token happy mascot, a smiling sun-lightbulby looking dude. Pretty sure he’s giving the finger. Batman, Disney, the Phantom all received Dynamic sets, with the NRL being the crown jewel in the Dynamic empire. In a time when American cards like Fleer, Upper Deck and Topps were dominating the market, it was pretty incredible that Dynamic made the impact that they did. Shrewd licence choices and well-made cards were among the things they did right. (Things Dynamic did wrong: a set of cards based on the Super Mario Bros. movie.) I like to think all the folderol on the roof was for setting up crucial cross-global meetings on futuristic video-phones, with hotlines between Dynamic and Warner Bros., Disney and… David Gallop. C’mon, use your imaginations! 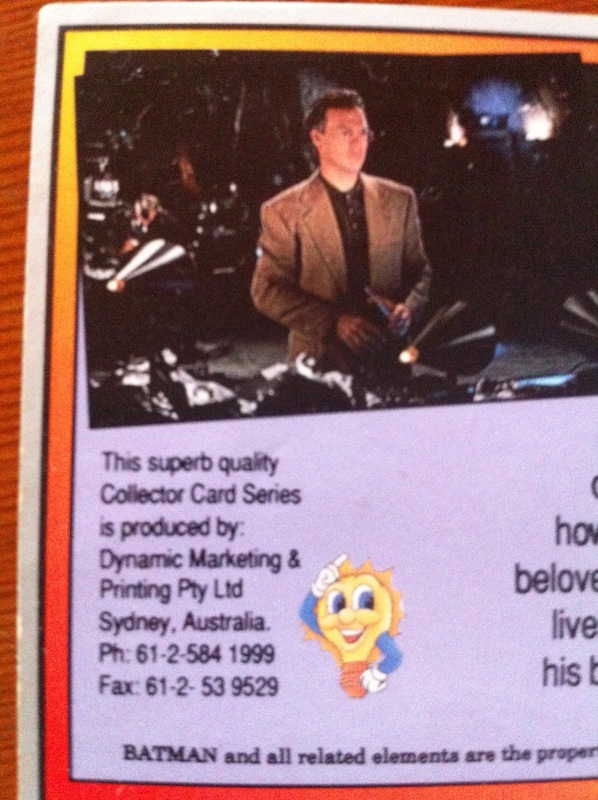 Dynamic magically went bust in the late 90s, a time when trading cards themselves were on their way out. It’s as if Dynamic knew something we didn’t, and as we the public sat around anxiously awaiting the next set of NRL cards complete with holoblast foil inserts (1:60 packs), Dynamic were cleaning house, severing all the fibre-optic cables attached to the faxes, and taking axes to their hard drives. Today, the All-Starz Performing Arts Studio has attempted to paint the equipment the same colour as the building so as to make it less conspicuous, but we Dynamic faithful know the truth. 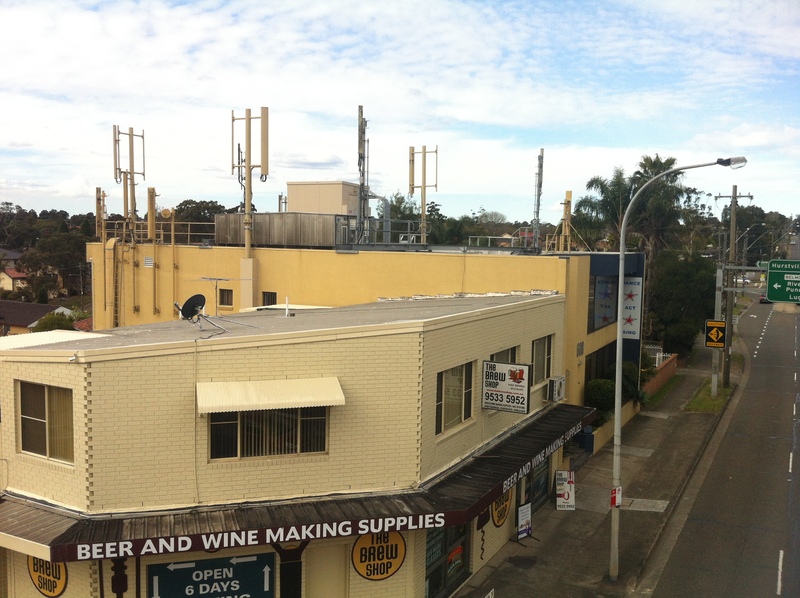 UPDATE: Reader Martin says that before Dynamic occupied this location, it was home to the ill-fated Catco Developments. Catco went bust in 1987, a collapse that had a severe effect on the tradies, subbies and builders of the day. DYNAMIC UPDATE: Reader Ken has reminded me of Scanlens, Dynamic’s cardmaking predecessor. Between 1963 and 1990, Scanlens produced various series of sports cards, focusing on the AFL and NRL. They also made several non-sports series, but these weren’t the bread and butter. Scanlens cards also came with gum, which in a time before foil-embossed noctovision inserts were the biggest treat in every pack. It’s interesting that Scanlens stopped producing cards only a year before Dynamic’s first set, ‘Attack of the Dinosaurs’, was released. It should also be noted that Scanlens didn’t operate out of this address, just in case you had the wrong idea.